At the end of 2013, I was accepted into WAOW – Women Artists of the West as an Associate member. WAOW is a long-standing artists’ organization that I’d considered joining for a number of years. I’d waited until I had work to submit that I felt confident would fit their criteria and I’m honored to be a member. A few weeks ago, I submitted my first two works to a WAOW show and I received word last week that they were accepted. 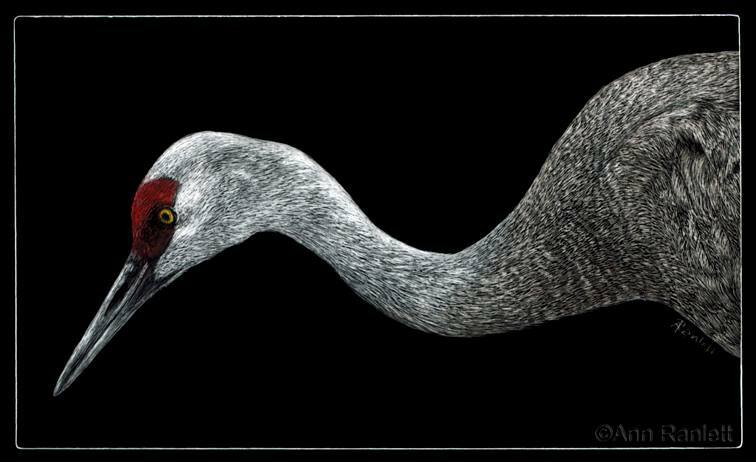 Tell Me More About “Sheep” and Sandhill Crane will be going to San Diego for the show in May. *Update: both of these pieces sold at the WAOW show. You can read more about these two drawings in this blog post. This entry was posted in art sold, memberships, scratchboard, shows and tagged memberships, shows. Bookmark the permalink.